Volleyball is an Olympic team sport played by two teams of six players on a court with a net between them and a ball which is punched across the net, the objective being to score points against the opposing team by grounding the ball. Each team is allowed only three contacts with the ball before it must be returned to the other side. The center net had a height of 6 foot 6 inches, although in children’s games this is often lowered to just above their head height. In 1895, a YMCA Physical education instructor by the name of William Morgan who created a game called Mintonette for older members of his YMCA who found other games a little to energetic and needed a game of skill rather than strength to help keep them fit. Morgan was a friend of James Naismith, who featured prominently in the history of basketball, but thought Naismith’s game would cause injuries for middle aged men whereas having a net slightly above their heads didn’t require much jumping. Morgan’s original name for the game was Mintonette which was chosen as a nod to Badminton, a game that was influential in setting the first rules for Volleyball, although the name didn’t really catch on. A spectator at a demonstration game Alfred Halstead, another YMCA director observed that there was a lot of volleying happening on court, and shortly after the name Volley Ball was chosen, eventually being contracted to Volleyball. 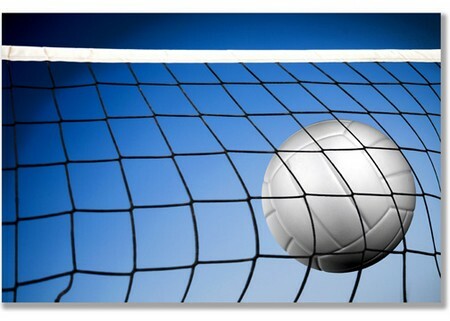 The first official rules of Volleyball were published in 1897 by the Athletic League of the YMCA of North America. Volleyball caught on quickly after the rules were published and in the same year Spalding made a custom ball with a rubber bladder inside a basketball, which over the next few years was redesigned, so that its weight was settled on between 8 and 10 ounces and the circumference determined to be 26 inches. Volleyball quickly spread around other YMCAs and various colleges in the US, and by 1905 was being played in Cuba, in Japan in 1908, and in China and the Philippines by 1910. In 1900, the rules of the game were adjusted to remove the innings that had been defined by Morgan, the number of points to win a match was increased to 21 points, and the net was raised to 7 feet 6 inches. In 1912, Volleyball’s rules were once again updated to face the realities of the game, which is that players were getting younger and faster, so the court size was increased to 60 feet by 35 feet, the ball weight standardized at 7 to 9 ounces and the number of players set at just 6 per team on court at any time. The National Collegiate Athletic Association joined forces with the YMCA in 1916 to further refine the rules of the game, and then again in 1920, by which time Volleyball was truly established as a college game although not professional. the first national YMCA Volleyball championship were held in New York, but non-YMCA teams weren’t invited, a situation not remedied until 1928 and the creation of the United States Volleyball Association (USVBA). The USVBA was acepted by the YMCA and NCAA as their new umbrella organization and the first national men’s tournament was held in the same year. Whilst Volleyball was a popular game it struggled to develop a league of teams that would compete in regular competitions with most games being played within very local leagues. The 1930s saw the first beach game being played, and in 1934 recognition of referees who would adjudicate championship and inter college games. The USVBA was finally recognized by all Volleyball associations as having jurisdiction over the rules of the game, a turning point that spurred more interest and better funding for the game, and quickly growing to the fifth most popular form of recreation in the US. Internationally, the end of World War 2 resulted in Volleyball receiving recognition as a global sport and the formation of the Federation Internationale de Volley Ball (FIVB) in 1947 along with the first World Championship games in 1949 held in Prague, the capital city of Czechoslovakia, and won by the Soviet Union. The US didn’t win a World Championship game until 1986 in Paris, France. Volleyball was played at international level in the Americas for the first time in 1955 a the Pan American Games, and a the Olympics in 1964. Beach Volleyball was formally recognized as a new medium of the game in the 1960s with the creation of the California Beach Volleyball Association (CBVA), a game that is similar to regular volleyball except that teams are reduced to just two players each. Beach versions of the regular six person team sport are also played though these tend to be of a more social nature than a competitive sport. 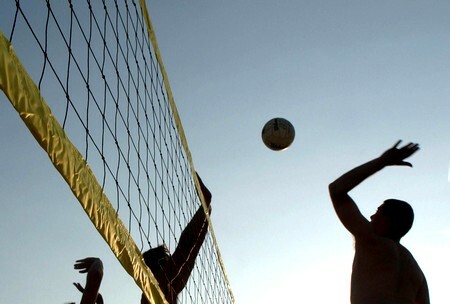 Despite the different rules and more professional nature of some Beach Volleyball leagues, the sport is still administered at international level by the FIVB, and in the US by a grouping of the USAV (formerly the USVBA), the Women’s Professional Volleyball Association (WPVA), and the Association of Volleyball Professionals (AVP). Beach Volleyball and Surf Rescue competitions in many parts of the world are often held at the same time with many competitors involved in both activities. College Volleyball competitions held by the NCAA were given a major funding boost in the late 1960s and starting the first true mens championships in 1970 won by UCLA, whilst the NCAA women’s Volleyball championship didn’t start until 1981, won by Southern California. 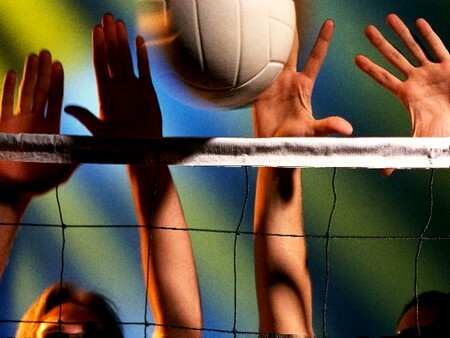 From their college roots many women have continued playing Volleyball resulting in a professional women’s league the WPVA being formed in 1986 to protect the women’s game from being overwhelmed by men’s professional volleyball.